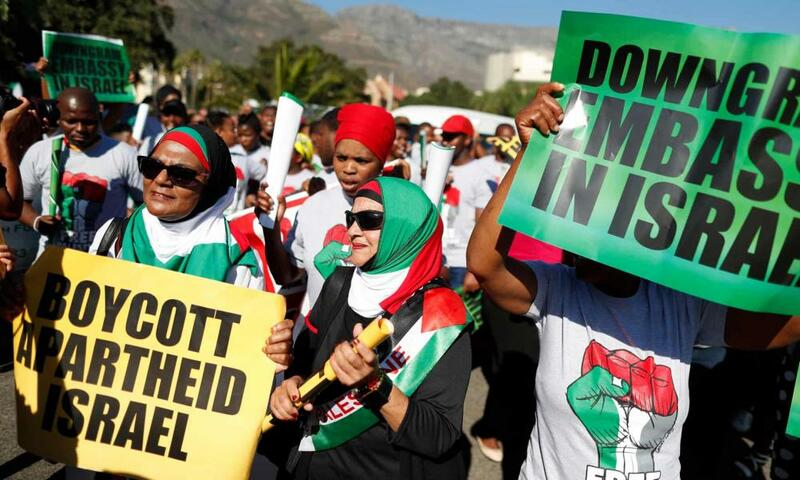 Anti-Israel protests in Cape Town, South Africa in May. 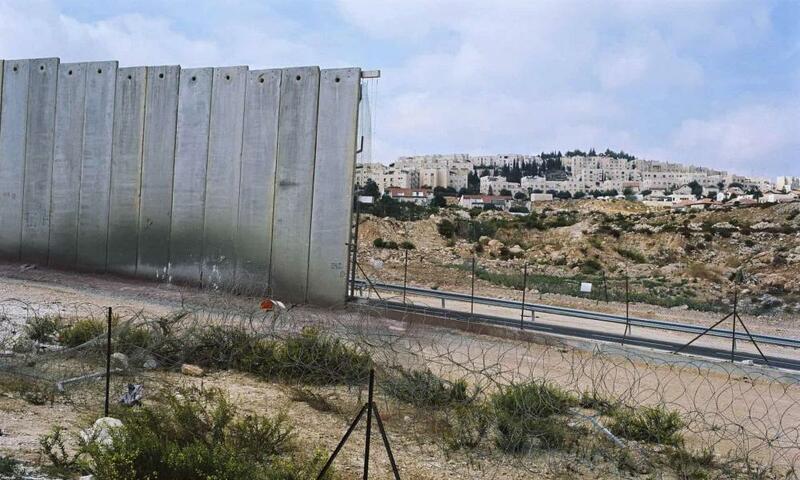 The Israel-West Bank separation barrier in 2007. 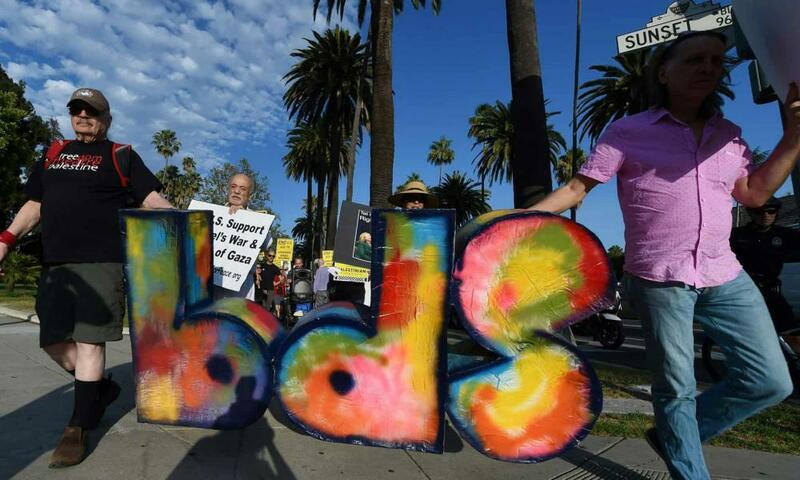 A BDS march in Los Angeles in 2016. The Ministry of Strategic Affairs has outsourced much of its anti-BDS activity in foreign countries, helping to establish and finance front groups and partner organisations, in an attempt to minimise the appearance of Israeli interference in the domestic politics of its allies in Europe and the US. Kuper said that anti-BDS groups were now “sprouting like mushrooms after the rain”. He and a number of other former intelligence and security officials are members of one of them, Kella Shlomo, described as a “PR commando unit” that will work with and receive tens of millions of dollars from the Ministry of Strategic Affairs. In 2016, Israel’s embassy in London sent a cable to Jerusalem complaining that the strategic affairs ministry was endangering British Jewish organisations, most of which are registered as charities and forbidden from political activity: “‘operating’ Jewish organisations directly from Jerusalem … is liable to be dangerous” and “could encounter opposition from the organisations themselves, given their legal status; Britain isn’t the US!” Last year, al-Jazeera aired undercover recordings of an Israeli official working out of the London embassy, who described being asked by the Ministry of Strategic Affairs to help establish a “private company” in the UKthat would work for the Israeli government and in liaison with pro-Israel groups like Aipac. 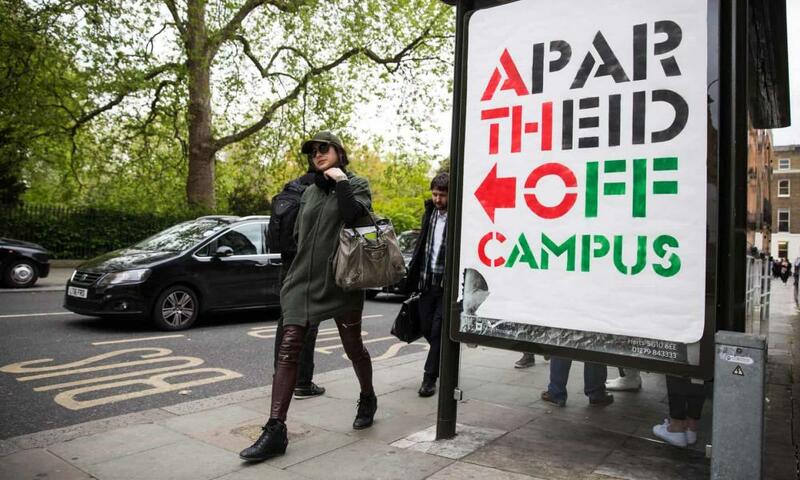 An anti-Israel poster campaign in London in 2017.